Lancaster Foods maintains an extensive fleet of vans, straight trucks and tractor-trailers to meet the delivery needs of virtually any size customer. 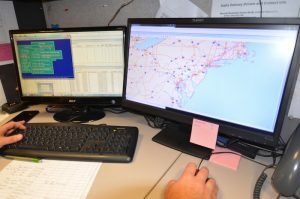 With the latest in onboard telemetrics, we can track our vehicles anywhere in the country. Combined with thoroughly vetted LTL partners, Lancaster’s delivery footprint stretches from Maine to Florida and west to Ohio. 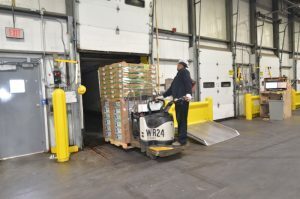 With a prime location off I-95 in the heart of the Baltimore-Washington corridor, Lancaster Foods is uniquely positioned to reach virtually any customer on the Eastern seaboard with next-day delivery, and in many cases – the very same day. With an average of more than 8 years with Lancaster Foods – and many more than that over the road – our drivers have the experience, and more importantly, the safety record to deliver your product on time, every time.